As we position to meet the challenges that lie ahead of us in higher education and the economy, a vital part of our investment must be in the whole Science, Technology, Engineering and Mathematics (STEM) enterprise – all levels of STEM education and research. Education through STEM must ensure a steady flow of new ideas and knowledge. Innovation must turn knowledge into new and better ways of doing things for the benefit of all students, and for the community at large using the connections that are intrinsic to quality STEM. 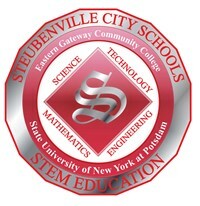 To recognize and take full advantage of the opportunities which STEM provides, Steubenville City Schools will benefit most if there is widespread and general STEM literacy throughout the community, embracing the deep expertise of STEM educators and practitioners in the community. 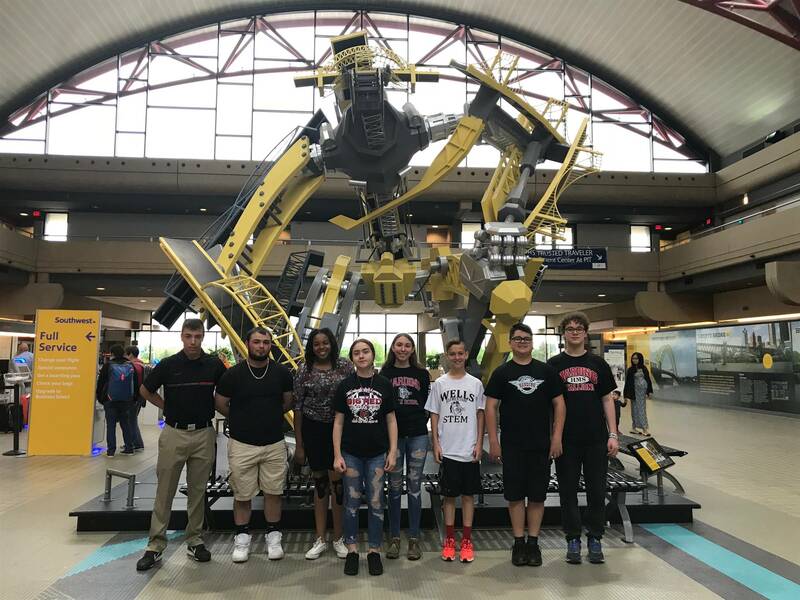 The Innovations in Science and Technology program will develop students’ technological literacy and stimulate their interest in pursuing a career in science, technology, engineering and mathematics (STEM). This STEM program will provide students with the knowledge and hands-on experiences they need to be successful in the new global workforce. The ideal candidate for this curriculum has an enthusiastic curiosity and enjoys challenges that involve solving complex real-world problems. Through the four courses that make up this curriculum, students will learn to work in teams, think critically, identify problems, and design and test solutions. Students will learn to read and comprehend complex technical materials and communicate effectively their understanding of these materials in written, oral and electronic formats. Further, they will learn to apply math and science understandings, and use technology to effectively solve challenging problems. Through project based assignments, students will explore the future of science and technology, and learn to apply the habits of mind and behavior unique to professionals in the field. 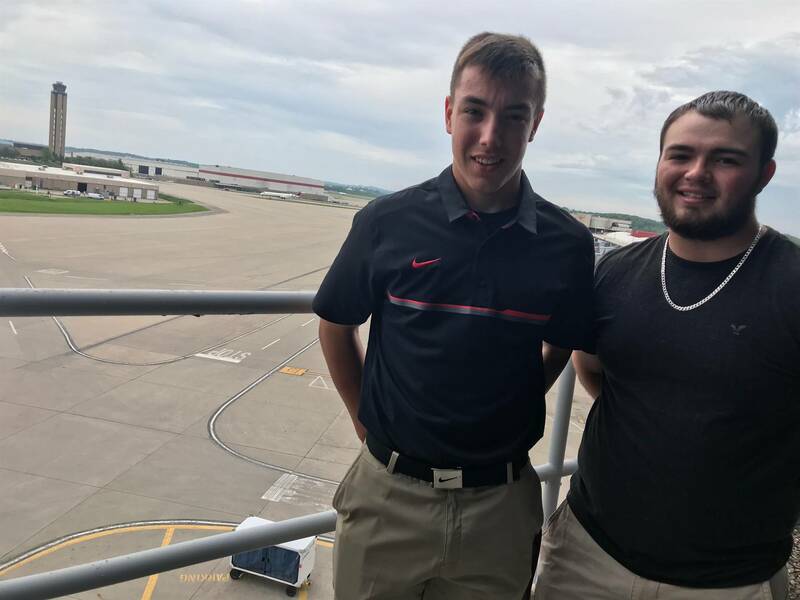 They will learn how to program and use National Instruments’ (NI) LabVIEW software and the myDAQ data acquisition device to work as engineers in making and analyzing scientific measurements. This program will equip students with the knowledge and skills to be successful in both college and the global workforce. Careers include systems, design, structural analysis, software and aerospace engineers; lab, avionics and radar technicians; materials planners; technical writers; air traffic controllers; pilots; drone designers; inspectors; and aircraft and airframe mechanics. In this four-course AC curriculum, students will explore the designing, building, testing and analyzing science behind the forces and physical properties of planes, rockets and unmanned vehicles. They will utilize tools such as Excel, LabVIEW and sensing systems to collect and analyze data. 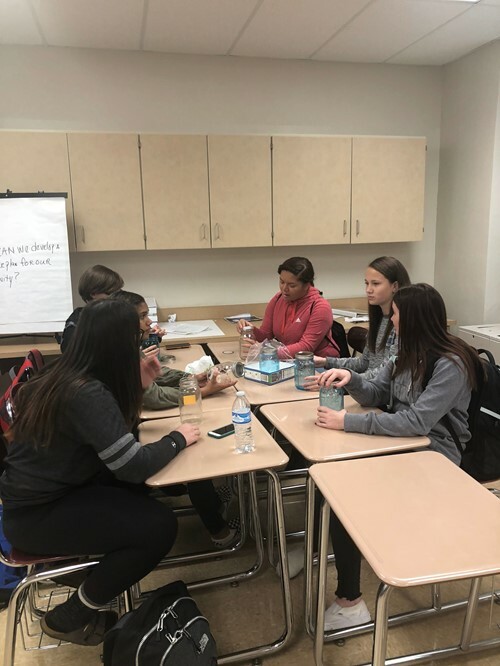 In addition, students will work collaboratively, manage projects, be creative and innovative, think critically, and solve problems as well as propose solutions to design problems. Further, they will learn to apply literacy, mathematics and science concepts and use technology to effectively solve real-world, challenging problems with business and industry partners. 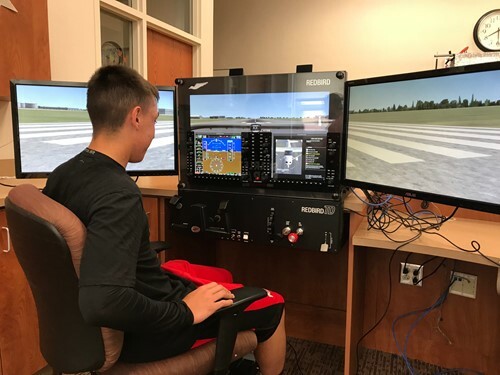 Through project-based learning, students will explore the future of the aerospace industry and learn to apply those habits of behavior and mind unique to the field. NASA Out of School Learning Network (NOSL Network) leverages a proven STEM engagement model and evidence-based strategies to build capacity of Youth Serving Organizations and formal and informal education institutions (such as museums) to implement quality STEM education programming. The curriculum modules will include engineering design challenges, inquiry-based lessons and resources, and citizen science recommendations. The NOSL Network includes a time-tested model of evidence-based strategies to increase STEM engagement among middle school students. Global logistics and supply chain management connect internal functions of an organization with other institutions around the globe. It is vital to understand the roles of logistics and supply chain management in a global economy where individuals and organizations have access to markets across the world. This field requires critical thinking and problem-solving skills to coordinate the movement of goods and services that may be separated by a few feet or thousands of miles. In an industry always striving for optimization, decision-making skills are paramount. The AC Global Logistics & Supply Chain Management (GLSCM) pathway enables students to practice innovative and critical thinking skills as they develop solutions to authentic logistics problems businesses regularly face both locally and internationally. Students will learn the complexities businesses deal with in securing raw materials from distant locations, moving them across multiple borders, receiving them in various ports transporting them to warehouses accessible through multiple modes of transportation, storing them efficiently or employing the just-in-time model, and then distributing them to customers through networks that properly balance transit time with cost. The health informatics pathway introduces students to the discipline through a series of authentic projects that merge information science, computer science and health care. 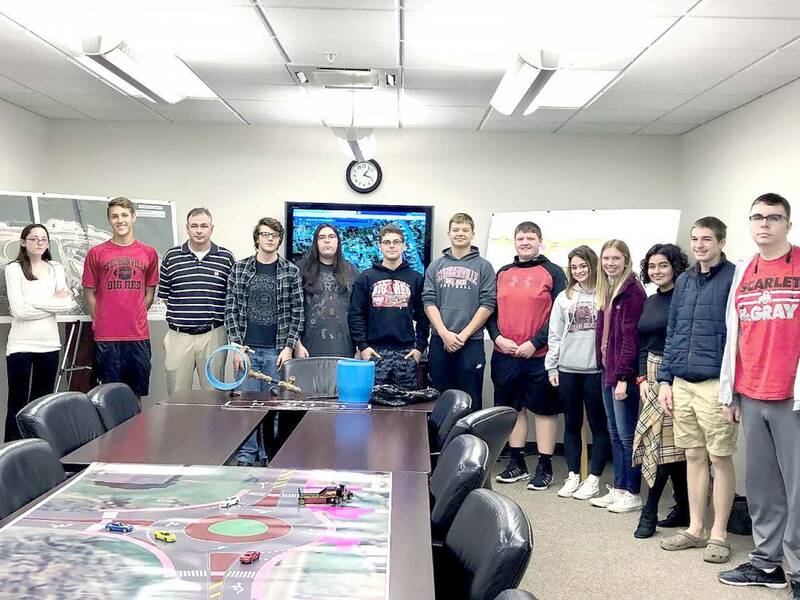 Through real-world projects, students use information technology, data analysis software and statistics to address a range of health related topics. Students will: a) use a variety of technologies and software that can be applied not only to the field of health care but also to other career fields; b) collect, analyze and prepare data reports targeted to a specific audience; c) read, understand and synthesize related documents that deal with critical health topics in the health field; and d) make sense out of data that can serve to inform the general welfare and quality of health care in the nation. Students will also learn about the array of careers available in the field of health informatics. 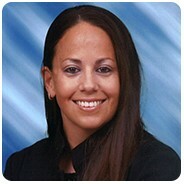 To promote active, healthy, sustainable lifestyles and behaviors in the home, school and workplace. Introduce essential skills for a broad array of physical activity, encouraging healthy and sustainable lifestyles. To make exercise fun through the use of our unique digital platform that incorporates physical activity, educational information and the positive social messaging of popular sport governing bodies, athletes and celebrities. Align with major advocacy groups, corporations, foundations and institutions that share the common goal of improving the health of America’s youth and communities. Provide a platform for end users to combine entertainment, education and fitness, achieving "my health, my fitness, on my time." • Remo Drums: Healthy Rhythms Curriculum: Series of percussion instruments and curriculum designed to release energy and express emotion through art. • Kimochis: This curriculum utilizes dolls as a way to express themselves and identify emotions by assigning various feelings to dolls. • The HOPSports Training System (HTS): A turn-key physical education interactive system used in your physical education classes and elsewhere. It features a library of pre-loaded PE and wellness content that on a computer, a projector, speakers, and a remote. All the technology exists on a moveable cart so that it may be transported in and out of the gym and stored properly. Career Pathways refer to broad categories of career fields within which course work is organized to provide students with a clear understanding of the relationship between what they learn in school and what employers and colleges and universities expect of high school graduates wishing to enter a particular career field. As such, they provide a rational means of organizing and sequencing high school course offerings and providing every student a personalized and relevant course of study within a chosen career focus. Career Pathways also provide a structure for organizing courses and activities into a coherent system that allows all students opportunities for focused career exploration. It ensures that all students are provided with rigorous preparation in academic skills, relevant occupational instruction, purposeful career counseling and opportunities for work-based learning and extracurricular experiences. 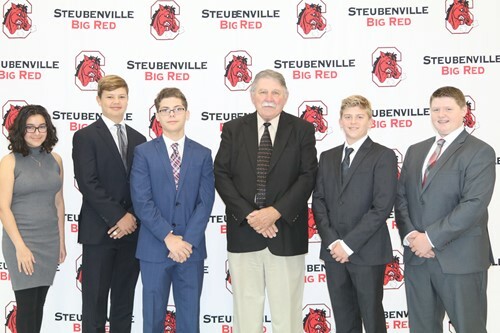 To facilitate the student Career Planning and pathway selection process, Steubenville City Schools has implemented career connections model beginning in 6th grade that provides students an opportunity for in-depth career assessment and planning under the guidance and supervision of a classroom teacher. Students are then in a position to plan and develop their course of study over the remaining high school years and beyond. The Robotics program is using the LEGO Mindstorm curriculum to provide students hands on experience with robotics. Lego Mindstorms is a hands on curriculum that helps students experience the possibilities of what can be learned using LEGOs within the design and engineering process, language arts, mathematics, science, and social studies. LEGO curriculum will build and reinforce the fundamental learning skills of the 21st century including; collaboration, communication, creativity, critical thinking, and problem solving. EasyCode Foundations is an online game that teaches programming in a real programming language called CoffeeScript. It is self-paced and comes with fully structured lesson plans that make it easy for any teacher to teach computer science and basic coding principles – even with no previous coding experience. In EasyCode Foundations, students learn to code through a series of coding challenges. Designed to inspire curiosity, creativity, and invention through connected play and coding, SPRK+ is far more than just a robot. Powered by the Sphero Edu app, you can easily learn programming, complete hands-on activities, and share your creations with the community. Navigate a maze. Program a painting. Mimic the solar system. Swim across the water. Hess Corporation and Baylor College of Medicine have collaborated in a STEM Educational Outreach program. The program offers learning kits which include Hess Toy Trucks along with a STEM Curriculum that demonstrates how the toys can be used as learning tools by teachers nationwide. Activities in this guide explore practical transportation issues, such as fuel efficiency, potential and kinetic energy for producing motion, and motorsports. The first modular drone that can be turned into a hovercraft, car, and more. It does stunts through drag-and-drop programming. AirBlock Drones incorporates the amazing ability of flight with basic engineering and coding. The Lego Education Coding Express is a buildable train set that uses large, kid-friendly pieces along with specialized color bricks that children can use to program how the vehicle moves around a track. LEGO Coding Express inspires early learners to explore early coding concepts such as sequencing, looping and conditional coding, while developing problem solving skills, critical thinking, collaboration and social and emotional skills. Dash is smart enough to respond to voices and sounds and Dash can dance and sing, which makes for a fun and interactive learning experience for kids. Dash will help kids learn, laugh, and grow. Students can give Dash Robot voice commands and explore loops, events, conditions, and sequences. The in-app challenges give students hundreds of hours of STEM Learning. Makey Makey: An Invention Kit for Everyone is an electronic invention tool and toy that allows users to connect everyday objects to computer programs. Using a circuit board, alligator clips, and a USB cable, the toy uses closed loop electrical signals to send the computer either a keyboard stroke or mouse click signal. This function allows the Makey Makey to work with any computer program or webpage that accepts keyboard or mouse click inputs. Ozobot makes coding robots for the next generation of creators. The Evo Ozobot, is app-connected and updatable—a creative companion that grows with you as you play games, create with code, and share your ideas. Evo can be coded two ways: online with OzoBlockly and screen-free with Ozobot’s patented Color Codes. SuccessMaker® is an adaptive software program that provides individualized interventions for students. SuccessMaker® has an internal process called the Initial Placement Motion (IPM) during which students are assessed by the program. The IPM reveals the current Math and Reading level of each student and provides a trajectory of use toward grade level. Students participate in 15- to 20-minute sessions. The number of sessions is determined by the level of intervention needed for the student and there is no "daily" requirement. However, the intensity and duration of intervention should be strategically determined in order for students to move to grade level quickly.